It turns out that we’re on a bit of a nonfiction kick with the food books. I’m half sorry about that, but don’t worry, we’ll be back to our regularly scheduled programming of mostly fiction next month. Today, though, I can’t resist talking about these two books. Peter Menzel is a documentary photographer who travels around the world and takes pictures of people with their stuff. His other (probably most famous) book is called Material World, and it’s full of photos of people around the world surrounded by everything they own. For his books on food, Menzel teamed up with Faith D’Aluisio to take a look at what people around the world eat. 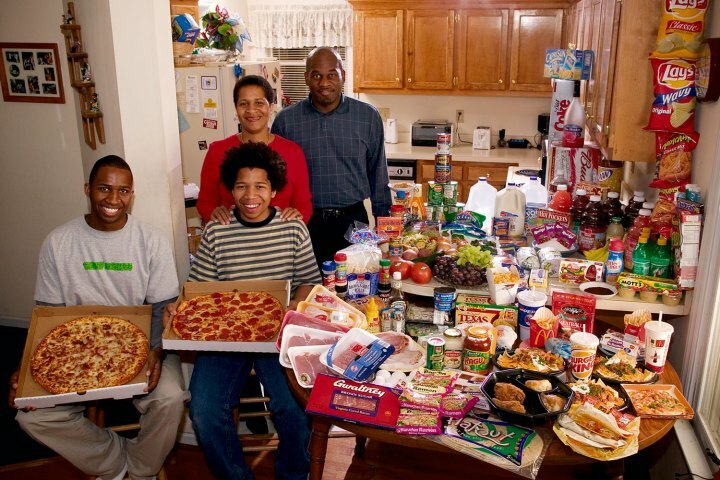 What the World Eats documents families surrounded by their weekly food, along with grocery lists, a financial breakdown, recipes, interviews about favorite foods, and information about who does the cooking and how the family sits down to eat. 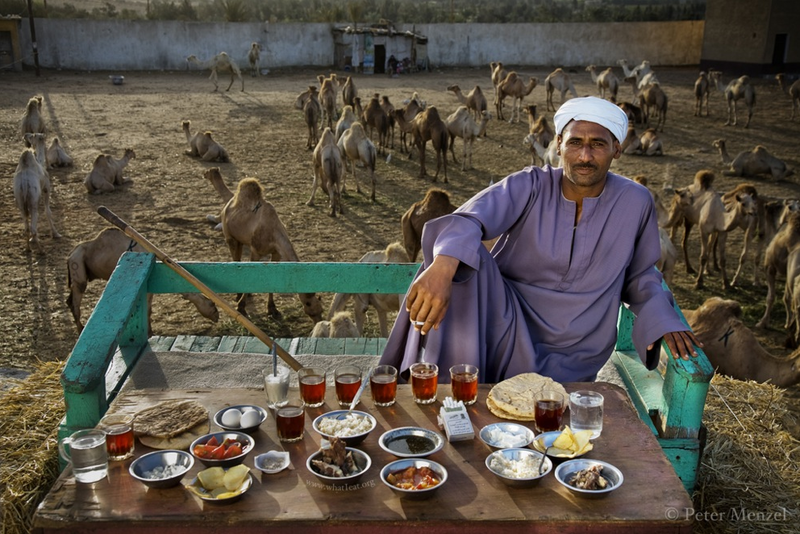 What I Eat: Around the World in 80 Diets does the same thing, but focuses on individuals and their daily food. Each book features people from Greenland to Mali to the United States and everywhere in between. There are brief statistical interludes about food consumption around the world and vignettes on local traditions (my favorite is the street food gallery in What the World Eats). I’m always a little bit hesitant to recommend super gifty coffee table books, but these are worth it. I’ll say the same thing about them that I would about a really good novel: you won’t want to put them down. This entry was posted in November 2014 and tagged browsable, coffee table books, community bookstore, food, nonfiction, November 2014, peter menzel, photography. Bookmark the permalink. ← Waxing poetic about prose.